I came up with a nice, amicable discussion topic for the forums, since I rather seldom post on them out of lack of anything to say. Are the provinces of Tamriel provinces/states or vassal kingdoms within a semi-autonomous confederation with the Empire of Cyrodiil? I would like to argue for the latter, myself. To me, the term "Empire" has always carried the connotation of supreme power over the occupied regions, with a government established that is rigidly ruled from the centre of power (in this case, the Imperial province of Cyrodiil). But, the provinces of Tamriel aren't such, being referred to in circles as kingdoms. Another sale for independent nations who have accepted vassalage rather than being rigidly in the political system of Cyrodiil is how much autonomy the provinces appear to have. Sure, they each have a set of buildings for Imperial bureaucracy to use, they each have a governor of sorts who acts as a liaison between the many nations of the Empire, yet the nations themselves remain with a fair degree of autonomy, or at least seek the desire to remain autonomous, with varying degrees of loyalty to the Empire. For instance, after the end of the Septim Dynasty and the start of the troubles plaguing the Fourth Era, many of these nations declared themselves independent, free kingdoms who reorganised themselves into different political entities, rather than coming together to restore the fractured Empire, proving their loyalties were first to themselves and their own well-being, and then to external authorities, if those external authorities were deemed to be necessary to maintain prosperity within the lands these monarchs ruled, as opposed to them being completely pro-Empire and wanting the stability afforded in the past by their protectorates. The provinces are almost more like regions. I mean, Skyrim has a High King to unify it, but based on the game Daggerfall (unless things have changed since then) I don't think High Rock or Hammerfell were ever neatly unified sans the Empire, but rather are a smattering of kingdoms and nation states. I'd agree with you, they are like vassals, or maybe similar to the US states with a unified central government but each have their own regional governments and laws. I haven't played Daggerfall, since I can't get out of the intro dungeon and the controls are confusing, but I do know that following the Warp in the West after the events of Daggerfall, the many small kingdoms became unified. The Empire, Cyrodiil, doesn't rule directly in the provinces, but rather relies on puppet rulers. This was, and still is, a common and useful way to control a region. Simply let the old ruling class keep on ruling, but ruling under you. There's no need to remake every new conquered province to fit some ideal structure, for destroying the old system will just lead to instability. That's why the provinces keep their kings, and their great houses and jarls, because it's more convienient for the imperials to work with the old system rather than build a new one. All they want, after all, is money and control, and keeping the old system makes for a much smoother transition. This is how the romans did it, and gradually, the elites romanised, and they in turn romanised those below them. The borders of the provinces are thus drawn by the lines of the kingdoms which the empire conquered. The provinces are an administrative unit, and the empire puts some in charge there. Not to directly control the province, but to control the elites of it. The kingdoms themselves functions as before, but just that they recieve their orders from above. The Empire's influence fluctuates with time, and each province has a unique political and geographical background. Typically, the Empire is closer to one political sub-division than another, resulting in disparate Imperial authority within a province. Politics can be incredibly murky. Circumstance can make a king more powerful than an emperor. When an emperor has a hundred different kingdoms to worry about, just one of them can have the sway necessary to put his back to the wall. Sometimes a vassal is a vassal in name only, and any subordination taking place is merely theoretical, a political construct. The Empire, Cyrodiil, doesn't rule directly in the provinces, but rather negotiates with local rulers. This was, and still is, a common and useful way to keep the peace in a region. There's no need to remake every new conquered province to fit some ideal structure, for destroying the old system will just lead to instability, violence, death, and a whole bunch of other stuff any reasonable and sane person would avoid inflicting on a people they're seeking to protect. That's why the provinces keep their kings, and their great houses and jarls, because it's more conscientious and just for the imperials to work with the old system rather than build a new one. All they want, after all, is to protect the people of Tamriel from the major and catastrophic metaphysical disasters which occur every few years, and keeping the old system makes for a much smoother transition so they can focus on the myriad of insane problems and existential threats which no real-world authority has ever had to worry about. The borders of the provinces are thus drawn by the lines of the kingdoms as the Empire found them. The provinces are semi-autonomous sovereigns, and the empire appoints some representatives, such as ambassadors and bureaucrats. Not to directly control the province, but to coordinate, communicate, and negotiate with the people who do control the province. The kingdoms themselves functions as before, but just that they recieve some direction as needed from above. Assuming, as I do, that some sort of federalized authority is necessary for the security of all the people of Tamriel, then the Empire goes about it in the best way available to it. Ironically, I think it is you who is giving the Empire too much credit. It's not all-powerful. Executive authorities generally must improvise, lurch from crisis to crisis. In the Third Era, insurrections raged for centuries, much of Black Marsh was never really under Imperial control, Hammerfell and Morrowind both got key concessions, ruling parties in Cyrodiil had great political influence, as did the leadership of Skyrim, and I very much doubt that the Empire was ever able to wield a great amount of authority in Summerset. Point being, the Empire is held together by diplomacy, not just the Legion, and diplomacy involves acquiescing to demands just as much as it involves making them. That was poor wording on my part, Minor Edits. Correct, diplomacy is even more important than the Legion holding the place together through military oppression, and my wording leads one to believe that it is merely through military oppression that the Ruby Throne was able to garner fealty from the many kings of Tamriel. What I meant was that they had the manpower and willingness to be within and meaningfully aid the population with regards to defence, security, diplomacy, etc, using the status of the Legionnaires as protectors and law enforcers as an example to prove it. I wouldn't paint the Empire as such a benign and benevolent entity though. It doesn't exist to protect the people of Tamriel, it protects them because it's in their interest to do so. Very different. other than that, thanks for using your superior english skills and articulation to expand upon my point. I don't know if it's me you're adressing with the last paragraph, for I agree with what you say, and it was the point I was trying to make with my hurried post. And I agree that it is a misnomer. One could reconcile the Empire in Tamriel as a form of federalism: a wide-reaching form of government that applies law in a semi-ambiguous manner, but direct rule is left to each piece as best they see fit, so long as it does not contravene the rule of the absolute whole. Most governments today are federal in nature, so the best way the folks at Bethesda could reach their audience is if the Empire in Tamriel was federal itself. Tamriel's Empire is anything BUT a federation. A federation would imply that the member states had joined willingly and of their own volition, when we know for a fact that Tiber Septim conqoured the other races of Tamriel through the use of force and coercion. The Altmer, Bosmer, Khajiit, Dunmer, Nords, Redguards and Argonians all have strong independence movements, indicating that within each culture are strong feelings about membership of the Empire. The Empire is nothing other than an, unsurprisingly enough, empire. They have a single ruler, who holds supreme authority, and local governments, although they do exist, still must answer to this authority. The existence of provincial governors such as that in Morrowind is further evidence of this fact. Federations can be assembled by force and conquest, though. It has happened in this world. And do not misinterpret what a federation is. Each province is free to rule in the day-to-day governance of their lands, so long as it does not contravene upon the overuling laws that every other province is also bound to. Independence within equality is the ideal behind federal rule. Doesn't always work perfectly to that ideal in real life, so I would not count on it being perfect in a fantasy story either. The United States is a federation because the member states, each separate nation-states, willingly and voluntarily chose to join the union. Australia is likewise a federation because each of our states, once a separate, self-governing and sovereign state, chose to join a commonwealth. This element of choosing to place themselves into a federal or confederal agreement is central to the definition of federation. Conquering another state would involve a form of incorporating annexation, a political union entirely different from a federal union. The Empire has no Articles of Confederation or similar, nor does it have any for of Constitution, so it cannot be called a federation. It is an empire, lead by a monarch. That's only one definition of federation. Another is that to federate is simply to "organize on a federal basis". When we say "federal", we're essentially saying that it is "pertaining to or of the nature of a union of states under a central government distinct from the individual governments of the separate states." To federalize is simply "to put under the authority of a federal government". None of that necessarily deals with whether the initial union was voluntary or involuntary. So, yes, it was an empire, led by a monarch, but using the adjective "federal" to describe how that imperial government is arranged is perfectly accurate. The Mexican-American War, the annexation of the Republic of Texas, and the American Civil War do challenge that notion. Heck, prior to the Spanish-American War, there was talk of annexing Cuba as the next State. Texas' 'annexation' was supported by the people of Texas, however, after the state of Texas split from the Republic of Mexico. For that reason alone, you can't compare Texas to the states of the Aldmeri Dominion, for example. You've both ignored the fact that I did suggest that Tamriel's Empire was an empire. Do you deny that assertion? If not, then why do you propose that it is both a federation and an empire simultaneously? If not, what reasoning do you have for asserting that it is not an empire. Constitutional law is my major, and I'm not convinced that Tamriel's empires in any iteration, Septim, Reman, Mede or other, are better classified as a federation than an empire. Con-law majors should be attentive readers. I offered a "yes, but" to your assertion. I majored in Political Science. Having a federal structure does not equate to having a federation. 1) While Tamriel was initially "unified" by force (actual or perceived), it has since collectively remained under the banner of Cyrodiil (with provinces maintaining basic and distinct governance (i.e., autonomy), as well as their own social structures)--traits inherent in both types of governmental structuring. 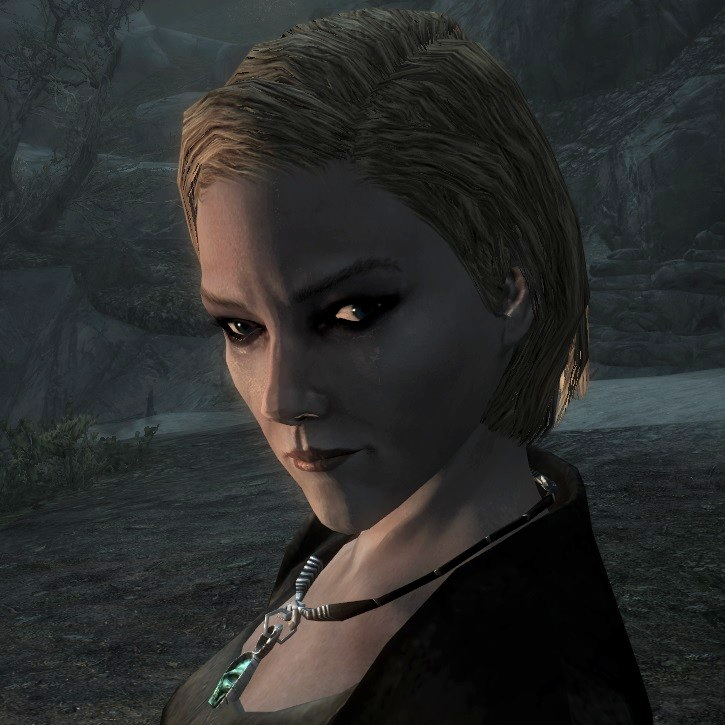 2) Cyrodiil has (by appearance, until the Mede Dynasty) allowed true representation from the provinces in its central-government (i.e., the Imperial Counsel)--something generally neglected within traditional empires. I'd argue further that what we see in Tamriel is much closer to being simply an empire, but there are still strong elements of federalism worth pointing-out. My comment was addressed at two people, so it moved away from specifics. Even so, I have to reject your conclusion that the empire has federal tendencies without being a federation, simply because such an observation doesn't seem to provide any distinction by which we can assess the political structure of Tamriel - if having a tiered system of governance is enough for a political system to be considered to have a federal structure, then I would challenge you to provide an example of a major political system without such a system (even the People's Republic of China has regional governors of a fashion). The British Empire is, in my view, an appropriate parallel, and one that addresses House of Wolf's comments, because the British initially conquered other states, allowing them to retain varying degrees of self-governance. Just as the British had governors installed in its various colonies and other conquests, the Septim Empire did the same in the provinces (as we saw in Redguard, and have evidence of in Morrowind). The Roman Empire, similarly, (being the culture the Imperials in the TES universe seem to draw most heavily from) did not stop being an empire once they had conquered the known world almost entirely. Even so, I have to reject your conclusion that the empire has federal tendencies without being a federation, simply because such an observation doesn't seem to provide any distinction by which we can assess the political structure of Tamriel - if having a tiered system of governance is enough for a political system to be considered to have a federal structure, then I would challenge you to provide an example of a major political system without such a system. There doesn't have to be one, though. China can have federal tendencies without being a federation. You're attaching political connotations to the term which are not, strictly speaking, part of its definition. The definition of empire is vague, and it may or may not be compatible with federation depending on circumstances. 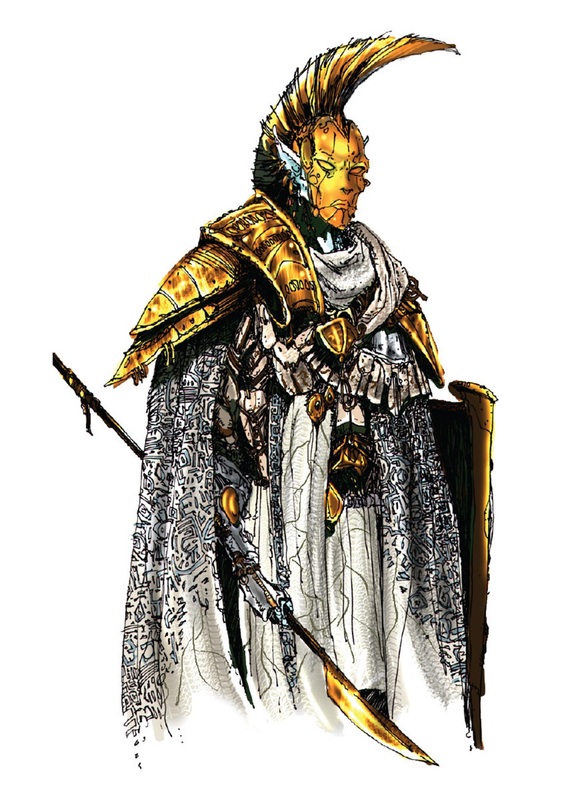 the Tamrielic empire has a ruling group (cyrodiils) with dominion over other groups; is headed by a monarch with the emperor/empress title; was assembled and backed up by force. This makes it an empire. But it also gives much autonomy to the provinces, and they have some kind of federal government. But I suppose what it really comes down to is wheter the provinces have inherent power, or if they are just granted power by the imperial government. Could a provinces for example really ever deny the empire something? If not, I don't think it's proper to call it a federation. I don't see it as attaching unwarranted connotations to federalism, so much as federalism having lost its meaning over the past several centuries. To we in the 21st century the important of a federation like Australia or the United States might not be apparent, but I see quite plainly in things like the composition of the Australian Senate the founders' express intention to respect the autonomy of the several States, and thus recognise their voluntary entry into the federation (Western Australia very nearly didn't decide to join). Although the Empire of Cyrodiil does tend to do that with gusto. Rome gave the ordinary citizen protection against bandits, pirates, and hostile tribes, but they didn't do so because they were benign, and it didn't make them any less of an empire.